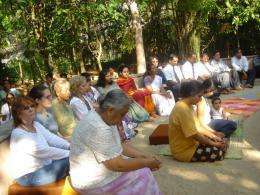 A collective meditation in Sri Lanka. Image: Wikipedia. Can meditation decrease chronic pain?